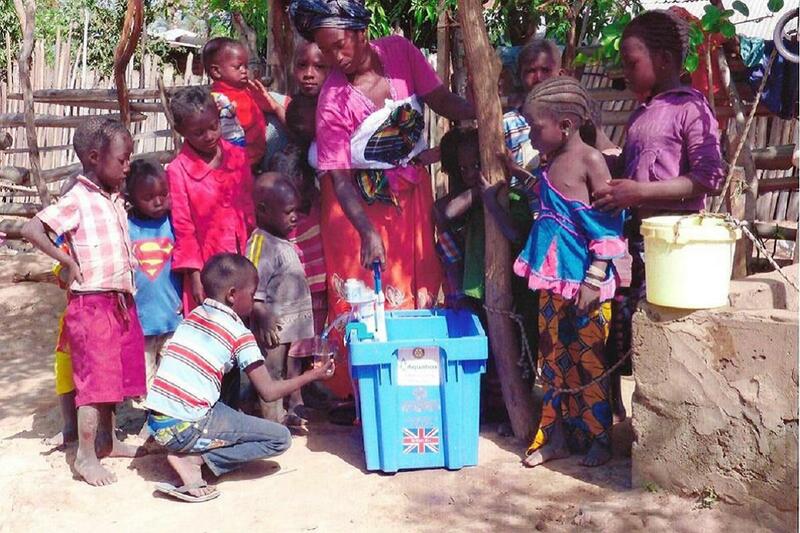 Aquabox is a community project set up by the Rotary Club of Wirksworth to provide safe drinking water, through the use of filtration units, and humanitarian aid to crisis zones around the world. Since its formation in 1992, Aquabox has distributed more than 110,000 boxes to over 50 countries in response to natural and man-made disasters, helping hundreds of thousands of people in the process. As well as a water-filtration unit, each Aquabox contains more than 70 humanitarian aid items, including cooking utensils, hygiene equipment, tools, shelter materials, baby and children's clothing and educational items. Over 60 loyal volunteers of all ages give up their time for free to assemble the water filters and pack the aid boxes. In addition there is a whole army of dedicated supporters who knit toys, jumpers and blankets and collect and donate sheets, pillowcases, towels, babies and children's clothing, all for inclusion in the boxes which are sent out to people in urgent need of help. To find out more go to the Aquabox website, or follow us on Facebook. Why not come and visit the Aquabox depot in Wirksworth and see the work we do? If you would like further information, or are interested in arranging a visit, please use the Contact link at the top of the page. The charity relies entirely on the kind donations we receive from our many supporters as well as fundraising to purchase the boxes and their contents. You can donate through the Aquabox website or use our JustGiving page. There is also have a Text Giving option to donate money to Aquabox. Text AQBX01 to 70070 stating the amount you wish to donate. You will get an acknowledgement and the option to add Gift Aid if you are a UK taxpayer. Thank you for considering Aquabox for your next donation.